Hailing from the unlikely metal realm of Colombia, South America, LEGEND MAKER formed in 1994 in the city of Cali. Named 'MESTER DE JUGLARIA' (translated from Spanish, it means minstrel, or traveling storyteller) and singing in their native Spanish, the group worked diligently in solidifying their trademark sound. As can be imagined, this was quite a struggle considering their circumstances, but the young group persevered, recording four songs in February of 1997 that were given to America's Defiled Records. Defiled Records, a black/ death/thrash metal record label with connections to Colombia, passed the cassette on to power metal fan Denis Gulbey of Sentinel Steel Records. Denis, enthralled by the band's sense of melody and catchy songwriting, realized the great potential of this project, though also understood that several changes had to be made. 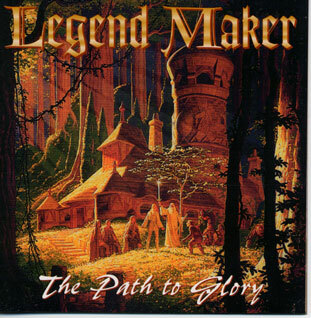 A new name was given to the band: LEGEND MAKER. The Spanish lyrics were translated and an American singer by the name of Michael Grant was brought in to the project, lending a more accessible approach to the vocals. Grant previously spent time with bands such as Morpheus, New Eden, Cold October, and Ocean Seven, as well as having a professional background in theater, film, and touring musicals. He is currently the full time singer with Sentinel Steel Records recording artist ONWARD. 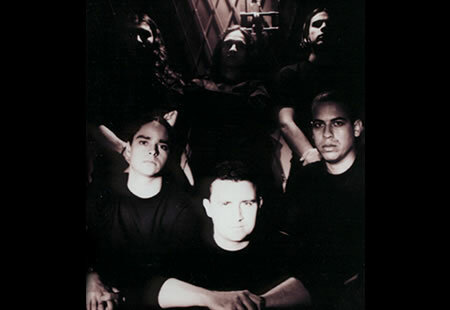 The initial 4 songs (Leonelda, Sands of Time, To Hell Or To Heaven, and the epic Story) were recorded on 16 tracks; these were transferred and shipped from Colombia to California, where Michael Grant entered Disarray Studios (the studio of Horace Colmenares, of the band NEW EDEN) and tracked the English vocals. Originally the 4 songs were to be an EP release, but all parties agreed that a full album would be better. Soon LEGEND MAKER entered the studio in Colombia once again and cut 3 new songs. Recorded on 24 tracks, the songs "Moon Seasons", "The Last Chapter", and "Labyrinth City" featured a slight change in sound, a maturation, if you will. Sentinel Steel Records chief Guibey deemed "Labyrinth City" too progressive and too much of a change from the previous material. Michael Grant added his vocals to "Moon Seasons" and "The Last Chapter", and after some rough mixes by Dissaray Studios producer Colmenares, the unmixed album was shipped to New Jersey, where producers Steve Evetts and Eric Rachel of Trax East Studios created the final mix. Soon after the recording of the 3 new songs, LEGEND MAKER had a few band members leave, adding Fabian on Lead guitar, Julian on Bass and Juan Felipe on drums. Singer Diego Gomez was officially introduced as the band's new full time singer. All these new members along with original members Mauricio (Lead Guitar) and Luis Fernando (keyboards) are working hard preparing for their 2nd album and many live shows behind them.